This week's assignment was to come up with a possible final project idea, and to model it. 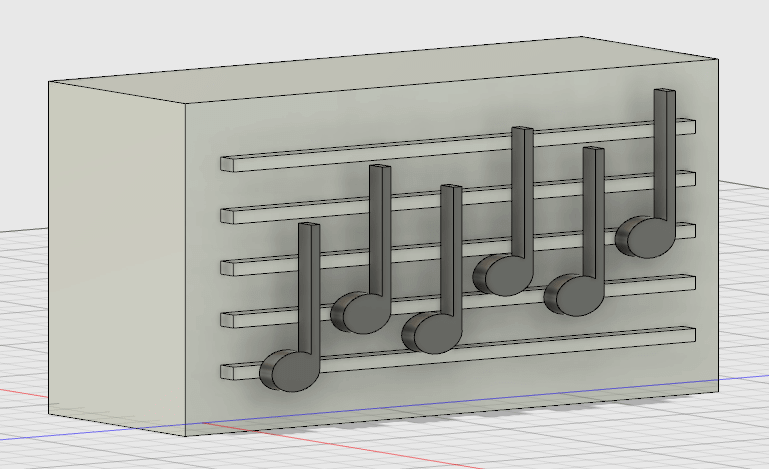 My current idea for a final project is an interactive music box, which could serve as a learning toy for children. I have zero experience with music, but I think it could be neat. The main structure would be a box, with a musical staff present on one side of the box, most likely with the lines protruding from the box. The musical notes would be the interactive part of the project. 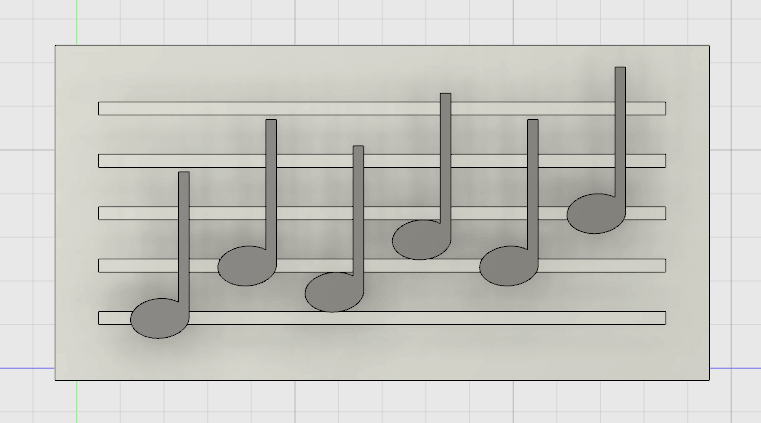 I have no idea how it would actually work behind the scenes, but I imagine that there would be detachable/attachable musical notes, and you could take musical notes and arrange them onto the staff into a short composition of music. There would be some sort of button on the box, and when clicked, the box would play the music back, accurate to how and where notes are arranged on the box. It would also be cool if the notes were partially transparent, and each note lit up when it was played by the box. 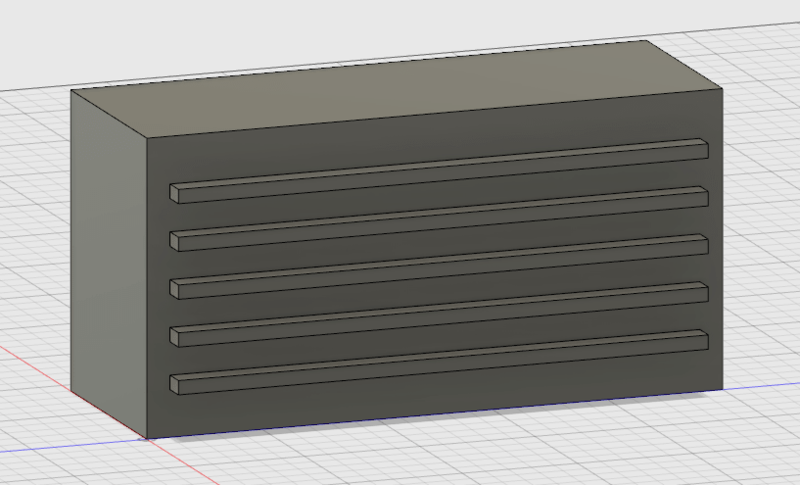 This week was my first time experimenting with CAD software other than Tinkercad and Sketchup. I experimented with FreeCAD, AutoCAD, and Rhino a little but, but mostly played around with Fusion 360. I did get overwhelmed by the software, but was able to produce these preliminary models. I started with a box, added protruding lines, and then introduced some 3D musical note shapes.